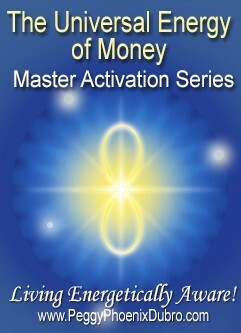 The Universal Energy of Money - Master Activation Series - a twelve-part webinar series. The activations and alignments in this series are designed to transmit the benevolent benefits of The Universal Energy of Money (personally and collectively) as quickly as possible. This is a Phoenix Style energy tool, complete with clear instructions, profound to use and easy to transmit. This webinar series is presented in twelve 90-minute segments (recorded). If you choose to participate in all 12 sessions of the series, you will receive a Certificate of Recognition as a Master Activator of The Universal Energy of Money. Decoding the Current in Currency Phoenix Style! Are you ready to know more about the universal energies of money and how to effectively express these energies as part of co-creating your life of choice? Welcome to a most practical and highly spiritual aspect of your evolution. Living life energetically aware, we are going “Universal” to transform our relationship with the energy of money! You know we are here to evolve physically, emotionally, mentally, and spiritually. You also know the energy of money plays an important role in daily life. This gift session is an invitation to develop a healthier, loving, more balanced relationship with the universal energy of money. Money has been infused with the energy of beliefs from all over the world. The definition of currency is “a system of money in general use in a particular country”. This understanding of money leads us to the idea that cultural influences are encoded in our currencies, and the subject of cultural heritage leads us directly to influences on our DNA. Many of you know that all the energy events I offer, from energy sessions to energy tools, are based on a personal awakening experience of Infinite Love, unbounded with no beginning and no end. The energy of Infinite love is alive, electrical, and transformative. Infinite love is the foundational energy we will use throughout this series. In the English language, the word currency sounds similar to the word current. Is it possible currency has an energy current to it and is alive, electrical, and transformative? In this gift group energy session, Transforming the Energy of Money, Personally and Collectively, we will channel the energy of Infinite Love directly to our DNA. Our intent will be to activate the decoding of old or obsolete energy beliefs surrounding money. As evolutionaries, NOW is an opportune time to co-create an energetic awareness of money and positively transform the energy of money. We can do this! Welcome again to a truly practical and highly spiritual aspect of your evolution. I am excited and humbled by the richness and wonderment in the energies of this new Master Activation series. Living life energetically aware, we are going “Universal” to better understand the energy of money! In the beginning when I first aligned with the resonance of this master activation series, I was very excited and ready to go. Then, after I had a closer look at the complexity of energies that exist around money, I became very apprehensive. Can you imagine, personally and collectively - the energy of money is enormous and filled with twists and turns for many different reasons? I thought to myself, how are we ever going to effectively co-create benevolent and beneficial energy patterns in this aspect of our lives? I must confess it took some time spent in frustration and even a little panic before the answer came. The foundational energy we will use throughout this series is alive, electrical, and transformative. Of course, … the energy of Infinite Love! In wisdom and love, each one of the activations will generate new evolutionary energy patterns in your relationship with money. As a result of these Universal Activations you will clearly define and co-create a healthier, more loving, and balanced relationship with the energy of money. You will commit to your most constructive energy dynamics with your money and all it represents as you co-create your life of conscious choice. Me too! What will I receive in this series? You will receive specific alignments to accelerate and increase your personal expression of the Universal Energy of Money. In addition, you will learn how to transmit the activations to others - family, friends, or clients - who want to increase their personal expression of the Universal Energy of Money. You will also receive specific alignments enabling you to teach others to transmit the activations. Students that you teach will receive a certificate as Activators of The Universal Energy of Money. In the first Multidimensional Money Activation, you will co-create with your personal 3rd Lattice to build a new relationship with Universal Energy of money. Time to release old beliefs and emotions regarding the energy of money that no longer support who you are NOW. From the core of your being you will empower the new beliefs and emotions. Living in energetic awareness you will choose and express what is meaningful for you to live a flourishing and prosperous life! At the same time, as a group we will consciously co-create, initiate and build a most unique 3rd Lattice in support of one another. In this 3rd Lattice the energy of love and compassion we share with one another generates a very special resonance. This resonance is intended to help us help ourselves, to define and give life to the evolutionary multidimensional aspects of money. We have learned from other activations in group sessions, new energies we could not access by ourselves became available as we supported one another wholeheartedly! Nurturing ourselves and one another is a wonderful way to open new levels of consciousness for us now. I look forward to this Phoenix Inspiration and Insights energy session and the patterns of energy we co-create to express the universal energy of money in our lives and beyond. Activation for you and others. Based on the energy patterns we generated in Session 1, the activation will be calibrated to its next highest order of coherence. The energies we co-created will be integrated into this completed version of the Multidimensional Money Activation. In Session 2 you will receive energy alignments enabling you to clearly and simply transmit the Multidimensional Money Activation to others. You will then be able to transmit this activation to friends and family as a gift or as an additional professional service you offer to clients in your practice. This is a “Phoenix Style” energy tool, easy to do and profound in its effect. You will also receive a downloadable document with clear instructions for transmitting this activation to others. Activations and Alignments for you and others. In this most loving and honoring session we will activate the alignments enabling you to clearly and simply teach the Multidimensional Money Activation to others. You will be able to teach this activation to friends and family as a gift or as an additional professional service you offer to your students or to clients in your practice. You will also receive a downloadable document with the complete instructions for the alignments, just as I have transmitted them to you, that you will now use to teach this activation. In this time of Great Evolution, we are able accelerate our abilities to communicate with one another through the language of energy. The energetic language of these activations and alignments are the way we communicate in these energy events. It really works! In this activation, Elevating the Energy of Money, our focus is to strengthen and amplify the most positive and uplifting collective energies of money. During the Phoenix Inspiration and Insights energy session we will use the Templates of Infinite Love, Compassion, Presence, and Wisdom. These octahedron Templates of light and energy will generate a resonance of masterful coherence as we continue to elevate how we feel, sense, imagine, and think about the energy of money. Helpful hint: Be ready to also elevate how you feel, sense, imagine, and think about yourself! This uplifting and enlightening activation supports us as we discover new ways to practice our mastery. Based on the energy patterns we generated in Session 4, the activation will be calibrated to its next highest order of coherence. The energies we co-created will be integrated into this completed version of the Elevating the Energy of Money Activation. In Session 5 you will receive energy alignments enabling you to clearly and simply transmit the Elevating the Energy of Money Activation to others. You will then be able to transmit this activation to friends and family as a gift or as an additional professional service you offer to clients in your practice. This is a “Phoenix Style” energy tool, easy to do and profound in its effect. You will also receive a downloadable document with clear instructions for transmitting this activation to others. In this most loving and honoring session we will activate the alignments enabling you to clearly and simply teach the Elevating the Energy of Money Activation to others. You will be able to teach this activation to friends and family as a gift or as an additional professional service you offer to your students or to clients in your practice. In this activation of YOUR Universal Energy Exchange of Money you will review your developed and yet to be developed talents, skills, and abilities. Drawing from your “wisdom experiences” you will access more of who you are and what you now have to contribute to generating the universal energy exchange of money most meaningful to you. In this Phoenix Inspiration and Insights energy session you may focus on the question “how I can be of service to others”? You may also focus on the question “how can I help others help themselves”? You will have a clearer vision of how your personal energy can evolve to co-create a more secure and prosperous energy exchange on many levels of your life. Prepare to become more of who you are in a most creative and rewarding way! Based on the energy patterns we generated in Session 7, the activation will be calibrated to its next highest order of coherence. The energies we co-created will be integrated into this completed version of the YOUR Universal Energy Exchange of Money Activation. In Session 8 you will receive energy alignments enabling you to clearly and simply transmit the YOUR Universal Energy Exchange of Money Activation to others. You will then be able to transmit this activation to friends and family as a gift or as an additional professional service you offer to clients in your practice. This is a “Phoenix Style” energy tool, easy to do and profound in its effect. You will also receive a downloadable document with clear instructions for transmitting this activation to others. In this most loving and honoring session we will activate the alignments enabling you to clearly and simply teach the YOUR Universal Energy Exchange of Money Activation to others. You will be able to teach this activation to friends and family as a gift or as an additional professional service you offer to your students or to clients in your practice. You will receive the Master or Manage Your Energy of Money Activation in this Phoenix Inspiration and Insights energy session. The focus of this session is all about you in a healthy, balanced, loving, relationship with the universal energy exchange of money and all it represents. You will increase your understanding and ability to live your life wisely in an extraordinary balance of giving and receiving. As you consciously build the life of your choice, giving and receiving from a state of peace filled empowerment is a significant part of your evolution. Your perceptions and energy patterns in this new relationship with the energy of money are full of promise and … adventure! Blessings of living life energetically aware. Based on the energy patterns we generated in Session 10, the activation will be calibrated to its next highest order of coherence. The energies we co-created will be integrated into this completed version of the Master or (at least) Manage Your Energy of Money Activation. In Session 11 you will receive energy alignments enabling you to clearly and simply transmit the Master or (at least) Manage Your Energy of Money Activation to others. You will then be able to transmit this activation to friends and family as a gift or as an additional professional service you offer to clients in your practice. This is a “Phoenix Style” energy tool, easy to do and profound in its effect. You will also receive a downloadable document with clear instructions for transmitting this activation to others. In this most loving and honoring session we will activate the alignments enabling you to clearly and simply teach the Master or (at least) Manage Your Energy of Money Activation to others. You will be able to teach this activation to friends and family as a gift or as an additional professional service you offer to your students or to clients in your practice. 1Private Facebook page – continuing support in the presence of one another, and in the presence of Peggy! NOTE: 1st payment due immediately. Subsequent payments charged beginning one month after 1st payment. Note: after you make the 1st payment at PayPal, we will email you information on how to participate in the training within 24 hours. "There is a shift happening in the 3rd dimension that appears to be filled with change, fear, anxiety, and uncertainty. However, when you look at this shift in a quantum way, it includes healing, a balance of life, and even mastery. Looking through the lens of the Lattice is the quantum tool that will support you as you come to know yourself as the Quantum One throughout all the layers of your DNA. Oh, but we'll leave it to the teacher, Peggy, to tell you about this. [Kryon wink]"